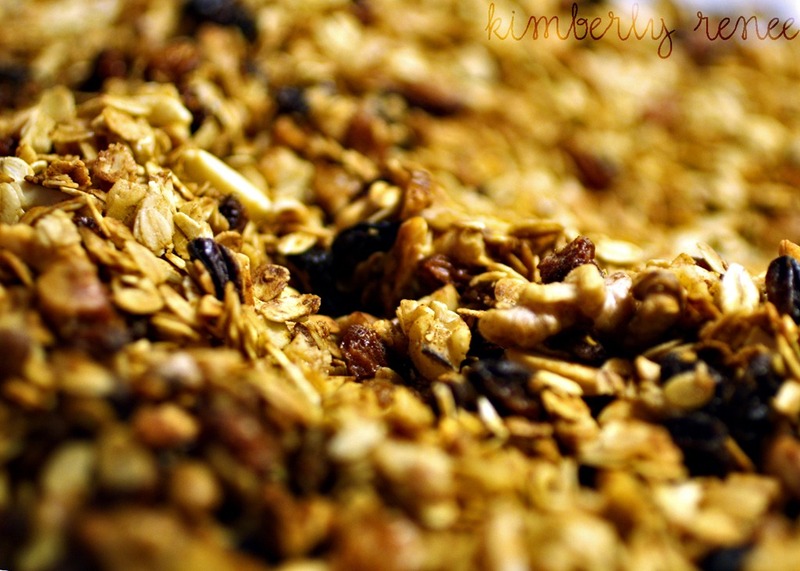 What do you like to put in your granola? I like to add almonds, walnuts and raisins. If I had other kinds of dried fruit I’d include that too. all of the recipes call for coconut, but I don’t like it that much, so I leave it out. mmm. that picture is making my mouth water!